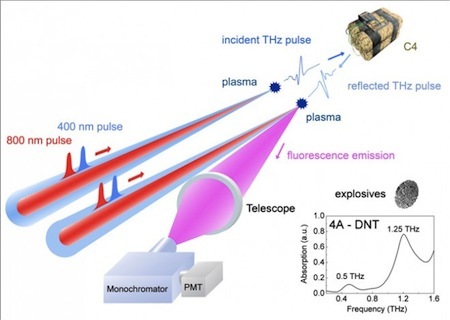 Terahertz detectors make use of the part of the electromagnetic spectrum between infrared and microwave light. In theory, these sensors could see through walls, containers and clothing from hundreds of feet away, and identify the unique signatures of a wide variety of materials within. Via Wired; thanks to Winchell Chung (who can also be followed @nyrath).